Spider-Inspired Sensor Detects Vibrations And Speech #Biomimicry « Adafruit Industries – Makers, hackers, artists, designers and engineers! Some of humanity’s greatest technologies were inspired by animals. Now, scientists, inspired by the movement-sensing organ of a spider, have developed a wearable sensor that can detect music, recognize speech and monitor a person’s heart rate. Spiders have an organ called the “slit sensilla” near their leg joints that detects tiny vibrations in their environment. By mimicking the design of this organ, researchers produced a sensor that is extremely sensitive and flexible, and could be used in wearable electronics. The slit sensilla in spiders consists of parallel slits of different lengths embedded in their exoskeleton, resembling the strings of a harp, which senses movement by opening and closing in response to forces exerted on it. The slits are connected to nerves that relay information about the vibrations to the spiders’ brains. 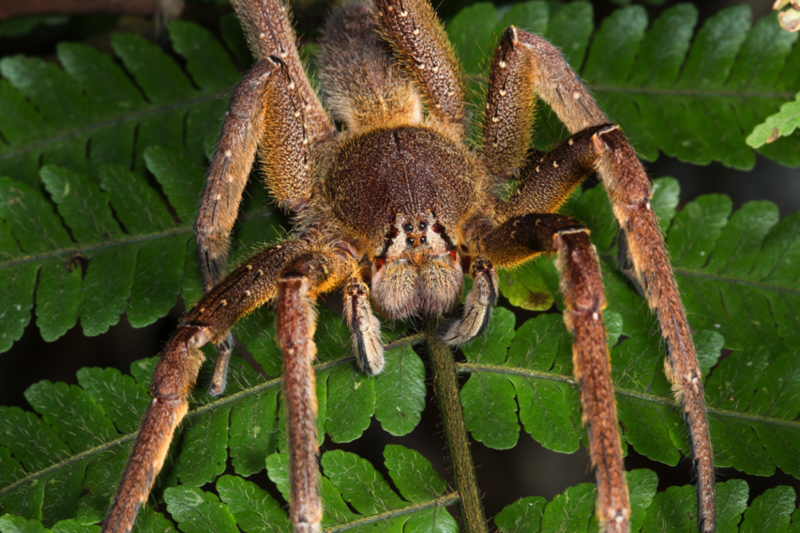 For example, the American wandering spider (Cupiennius salei) scratches the leaves of plants with its mouth and abdomen, which a potential mate can detect using its slit organ. Vibrations cause the cracks to stretch or compress, which changes the resistance of an electrical circuit. The device is extremely sensitive to vibrations or sounds, according to the article published today (Dec. 10) in the journal Nature. “We are still far away from an artificial sensory system with a performance similar to that of the spider organ, whose evolution going back to the origins of the Chelicerata group of arthropods has been 1,000 times longer than the existence of humans,” Peter Fratzl, a biomaterials scientist at Germany’s Max Planck Institute of Colloids and Interfaces, who was not involved in the study, wrote in an article also published in Nature. To demonstrate the device’s sensitivity, the researchers attached the sensor to a violin, and converted the strings’ vibrations into digital recordings of each note. In another test, the sensor detected the flapping of a ladybug’s wings, the researchers said. The sensor could also be used to measure a heartbeat. When worn on the wrist, the sensor can detect the heart contractions through the blood vessels, the researchers said. But the manmade sensor doesn’t work exactly like the spider slit organ, even though they have similar shapes, because the electrical conduction through the sensor isn’t identical to the transmission of signals through a spider’s neurons.